Donna M. Santer, M.D., Michael P. D'Alessandro, M.D. It is essential to have a working understanding of the anatomy of the respiratory tract in order to understand the pathophysiology of the disease processes that affect it. A brief review will be presented. The respiratory tract begins with the nasal and oral cavities combining to form the pharynx. 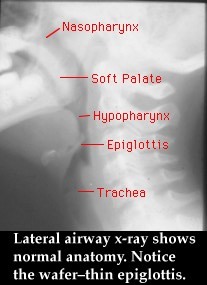 The pharynx is connected to the esophagus and the larynx. 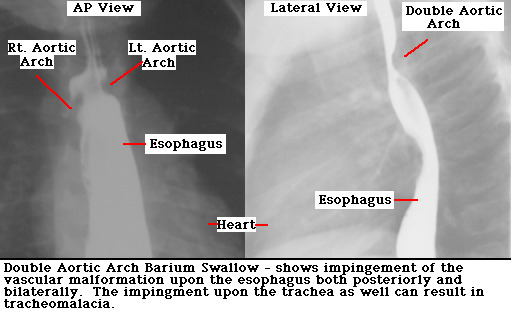 The larynx and its unique anatomy continues into the chest in the form of a cylindrical structure called the trachea, which divides into the right and left mainstem bronchi. 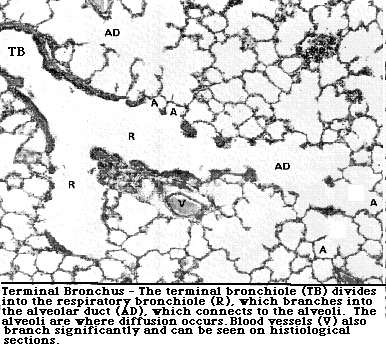 The bronchi continue dividing approximately 23 more times until the terminal bronchiole and its accompanying alveoli are reached. The area of primary consideration in this multimedia textbook is the larynx and the trachea. 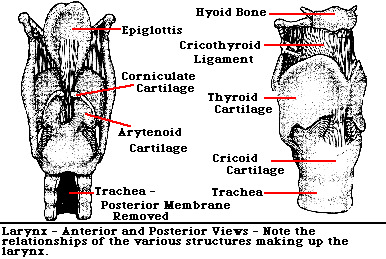 The larynx is a unique structure whose primary functions are in speech production and protection of the airway. It is formed by cartilaginous, bony and connective tissue structures. It is particularly important to understand the relationship of the following structures: the epiglottis, arytenoid cartilage, aryepiglottic folds, and cricoid cartilage. The glottis is the area around the vocal cords. 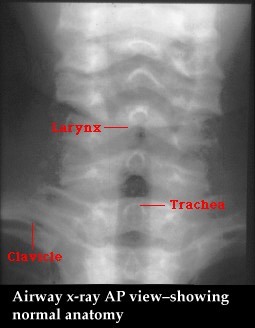 The subglottic area is the area directly below the vocal cords leading into the trachea. 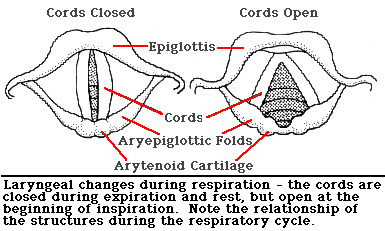 The changes in the larynx during the respiratory cycle are also important to note. The cords are closed during the end of the expiratory phase and rest, and they open at the beginning of the inspiratory phase. 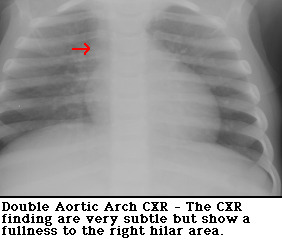 The narrowest part of the adult airway is the vocal cords, but, in children, the narrowest part is the cricoid cartilage located in the subglottic area of the larynx. The trachea is a cylindrical structure formed by 16-20 U-shaped cartilaginous rings and a muscular/cartilaginous part that completes the tube. 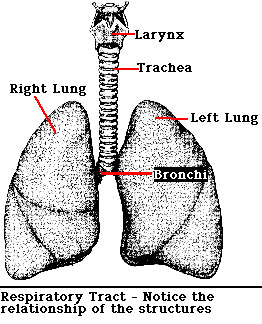 There is also some change in the shape of the trachea during inspiration and expiration. Imaging of the respiratory tract is common. Modalities include plain chest x-ray, endolateral neck x-ray, barium swallow, CT scan , and cine CT .